I don’t know about you but one thing I hate is having to wash my brushes! It takes ages and then takes even longer for them to dry thoroughly! I always think ‘oh they must be dry by now’, only to be met with a damp brush on my face! It is all just one big chore which I don’t like having to do every time I use my shadow brushes. This is where Shadow Switch comes in! When I do my eye makeup I always end up with a tissue on my knee so I can wipe it clean and move on to the next colour. I do this as I use enough brushes to do my eye makeup as it is, I don’t want to add another two or three to the pile. You can’t just use the same brush and move straight on to your second colour as this just makes a nasty merge of colour on your eyelids and you may as well just apply all colours at once! To try and combat this I use a piece of tissue, but this isn’t great and doesn’t always remove all of the previous colour from your brush, it also takes a good deal of wiping to remove most of it. 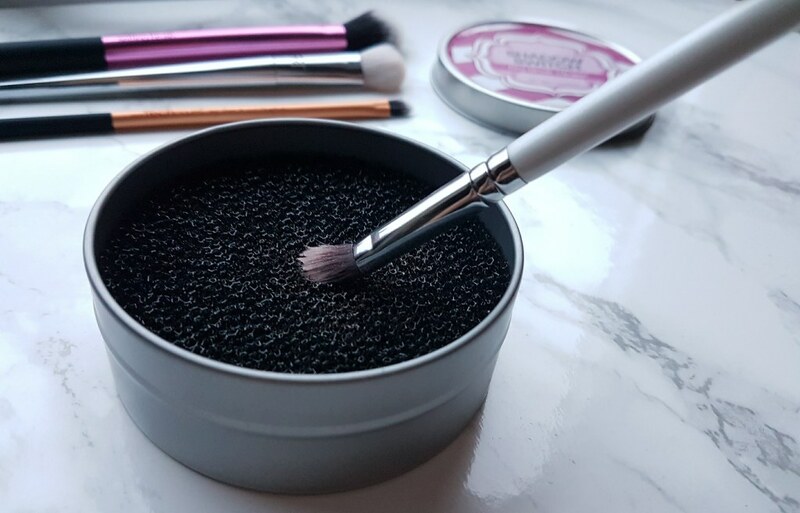 I was made up when I was asked if I would be interested in trying out a dry brush cleanser from Beauty Essentials. Cleaning your brushes with no water involved! Well, I could not say no to that. I knew this would save me from waiting for brushes to dry and also rubbing my brush for ages on a piece of tissue in the desperate hope to remove all left over shadow! The Shadow Switch is basically a tin with a wiry sponge inside. Sounds basic but it really does the job and priced at only £5.99 from Amazon it is very reasonably priced! How is this a brush cleanser you ask? Well, it reminds me of how I use the tissue to remove the excess shadow, you basically swirl your brush around a couple of times and voila, your brush is clean! So why not just use the tissue? This works so much better, it not only removes the shadow quicker it also leaves my brush cleaner as well. I can then move straight on to the next colour without any hassle what so ever! Ingenious! I really love that it is such a simple product but it does the job really well. To keep you Shadow Switch clean, you simply take out the sponge and wash it with warm water and fragrance-free soap. Then leave the sponge to dry completely and pop it back in the tin. 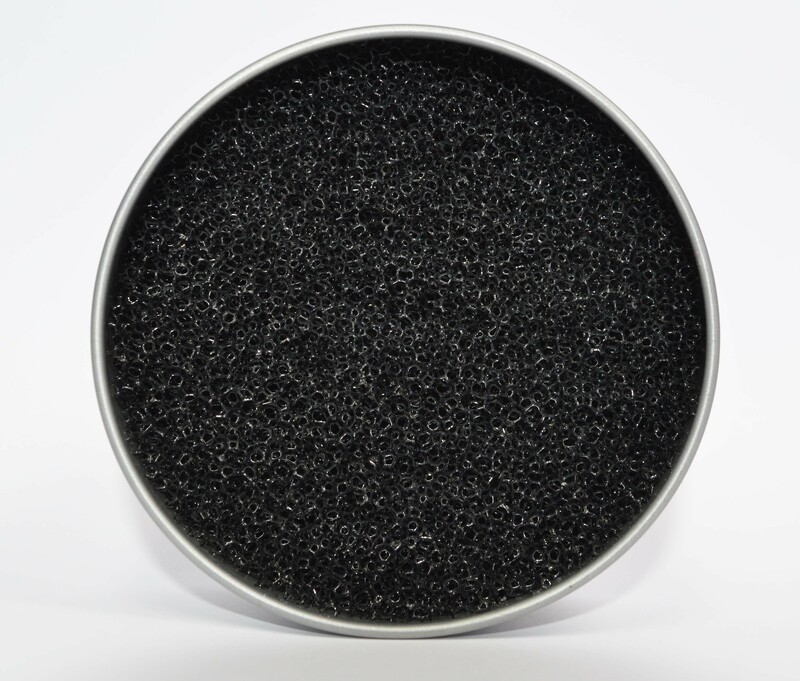 This sponge drys so much quicker than your brushes will and it is super easy to clean! It is recommended that you replace the sponge every 3 months for hygiene reasons, but I would probably judge this on how often I used it. If I were to use it every day then yes replace the sponge more frequently. But if you were only to use this a few times in a month then you would probably get longer out of it. Beauty Essentials are going to be bringing out a lot more products soon that will be available to purchase at Sephora and online. I really can’t wait to see what other products they bring out. If they are as useful as this product I will be made up! 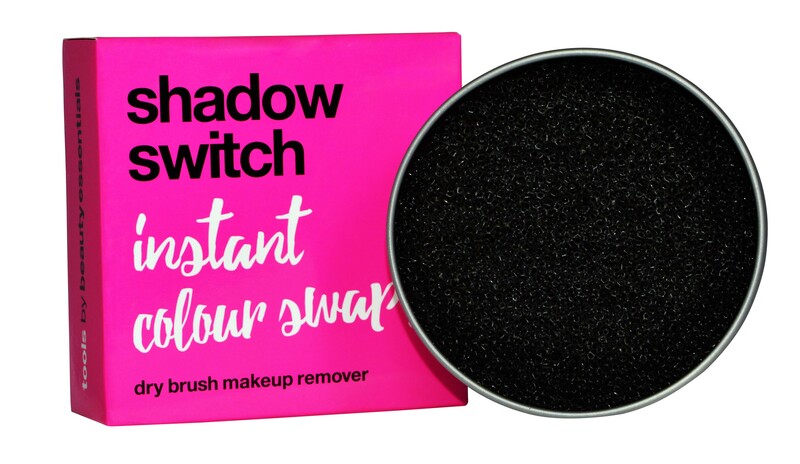 They have changed the packaging for the Shadow Switch so they can tie in a lot of other products into their range. The packaging is a gorgeous hot pink. I am thoroughly made up with this product and it has become on of my essential beauty items, no more tissues on my knee to wipe my brushes on! I am excited to see what they bring out next. If you like this product I would recommend keeping an eye out on their Twitter to know what other products they will be realising soon, you can find it here. 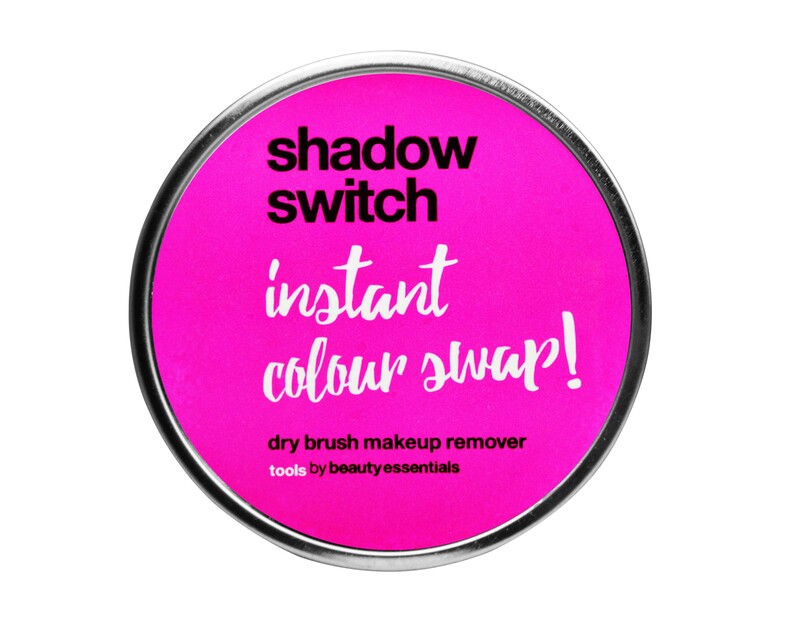 Is this Shadow Switch dry brush cleanser something you would use? Let me know what you think below. Oh this is a great idea! What a handy product! 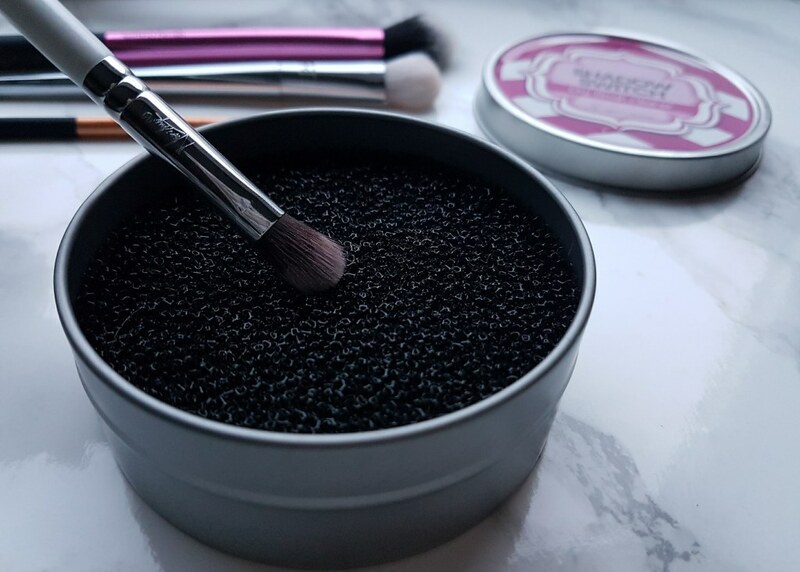 🙂 I don’t use makeup frequently but especially in winter I can wash my brushes and find them still a little wet next time I go to use them, frustrating!